Office time, office goers and Office Para are entities in itself in Kolkata. If you thought that Wall street and New Yorkers are the only ones making a statement with their fast forward give-a-damn walks and attitude…think twice. You are yet to peep into the Metro Rail, public buses, local trains and ofcourse the business districts of Kolkata. 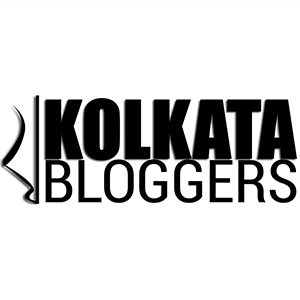 Forget the intellectual, adda loving Bengali that you hear/read or have known of. Much like the elusive and fierce werewolf, the sudden metamorphosis of the otherwise ‘shanto’ ( read peace loving) clan is hard to overlook. Pushing, nudging, jolting, shutting them off with earphones plugged in, snoozing off and often swearing, each have kind of worked out their own comfortable ways to make it in time. Oh! and did I mention the athletic sprints and jumps to occupy the seats during the commute. So now that you have got the flavour of it, you can imagine how hungry they would get by lunchtime. And that is exactly where we are going today. The culinary offerings in the central business district of Kolkata, Dalhousie aka B.B.D. Bag is an experience that you must have atleast once if you happen to visit the city. Tandoori/Roomali/normal (locally known as hath ruti) with a wide choice of vegetable curries and dal. And the best part? You can enjoy a customised meal in less than Rs 50!! Another thing you cannot miss is the efficiency and fluency with which the vendors prepare and serve the dishes allowing the patrons some extra time for office gossips during the lunch break! They infact have amped up their game by adding items like Doi chore, Boiled veggies, Brown bread and rice for the health conscious customers. But what is most heartening is the unnamed, unsaid relationship of camaraderie that gradually develops between a shopkeeper and his regular customer or a few people who visits a particular stall regularly. Be it a bad day at office, a squabble with spouse, the fetching percentage of their children in Board exams or politics and IPL, there is hardly any topic uncovered or underdiscussed. Such is the story of Office Para and it’s food culture it’s in Kolkata. Do share your thoughts.